Insider trading is a very hot topic in the finance world. It involves trading a public company’s stock or other securities by individuals who have access to information about the company that is not available to the general public. In general, this is considered illegal because it creates an unfair advantage to those who do not have access to the same insider information. There are some complex regulations involved and many people want to know when insider trading is illegal. Generally, it has to do with corporate officers and other directors doing the trading because they would be able to know specific information about the company and its financial state that is not available to the public. Employees are permitted to trade and it can be seen as insider trading. The main difference is that the average employee is trading just as any member of the general public is without access to material information that is not privy to the public. The definition can vary as to when insider trading is illegal or legal. Much of it depends on when the trade was made. As long as the insider trading is made once the information has gone public, it is legal to trade stocks or other securities. This is because the person or persons no longer have a direct advantage over anyone else. Insiders are required to report all of their transactions to the Securities and Exchange Commission (SEC), which helps to control this checks and balance. The SEC can then choose to investigate any questionable transactions based upon the release of information to the public. A recent transaction that took place was in China where fund manager Bosera Asset Management Company, the fifth largest in China, had a former employee, Ma Le, who made an estimated $3.1 million profit from 2011 to 2013 by purchasing shares from three accounts using information that was not public. This involved a penalty as well as the commission ordering Bosera to make changes to prevent this from happening in the future. Another issue about insider trading revolved around SAC hedge fund manager Steven Cohen, which has an estimated worth around $8.7 billion. He has been accused of insider trading for years as well as managing the funds of others who were in a similar practice. While he has not been charged with illegal insider trading, he has agreed to pay a $1.8 billion fine because of not properly supervising his employees. Several SAC employees have pleaded guilty to securities fraud as well as conspiracy. 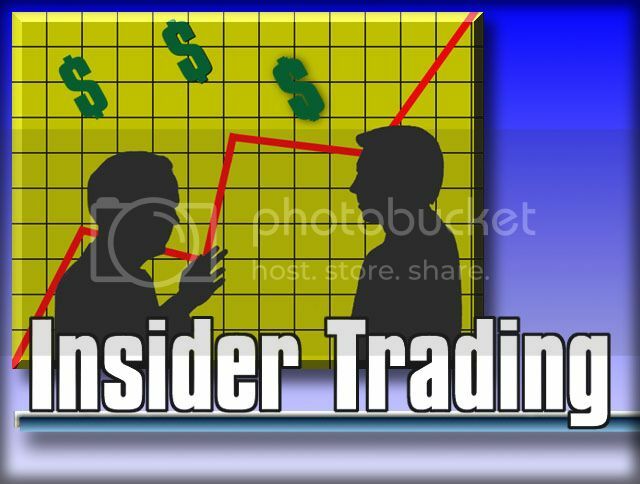 There is a variety of rules in place regarding insider trading. It’s not illegal, though there are some rules and regulations behind doing it that need to be followed. Those who do not follow it are usually investigated by the SEC. When someone is found guilty of insider trading, they are usually prosecuted, which can include fines as well as prison time, depending on severity and how many times they have done it. Since the definition of insider trading can vary from country to country, a person should learn about those laws in order to ensure that they are not found guilty of insider trading. If you are in a company where you have access to insider information, the easiest thing to do is wait for that information to go public before you make a trade. As long as you do this, insider trading is not considered illegal, although the transaction must still be reported to the SEC. Plenty of people have been accused of insider trading over the years. Only those that have done so illegally have been penalized in one form or another. Does really upgrading your financial planning software take your business to the next level?